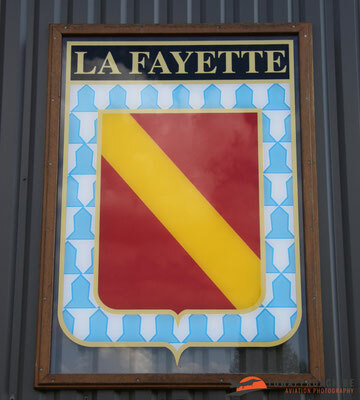 95 years ‘La Fayette’. Meeting de l’air, Luxeuil 1-2 juli 2011. 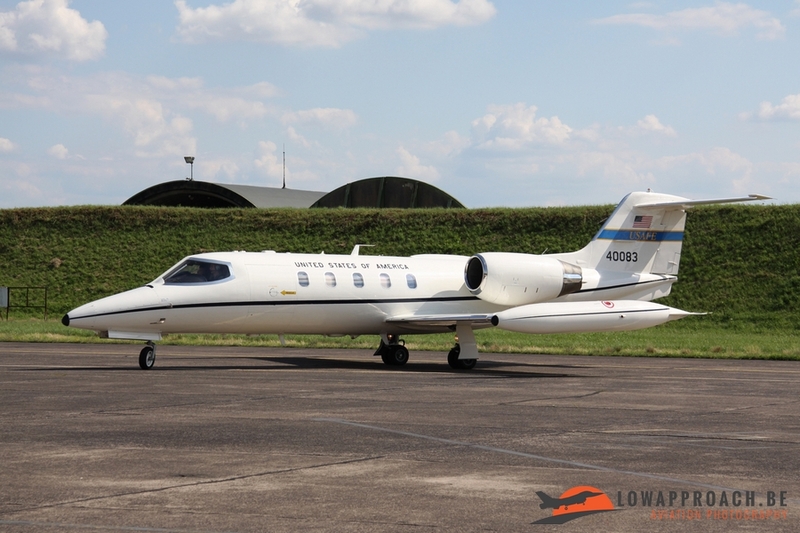 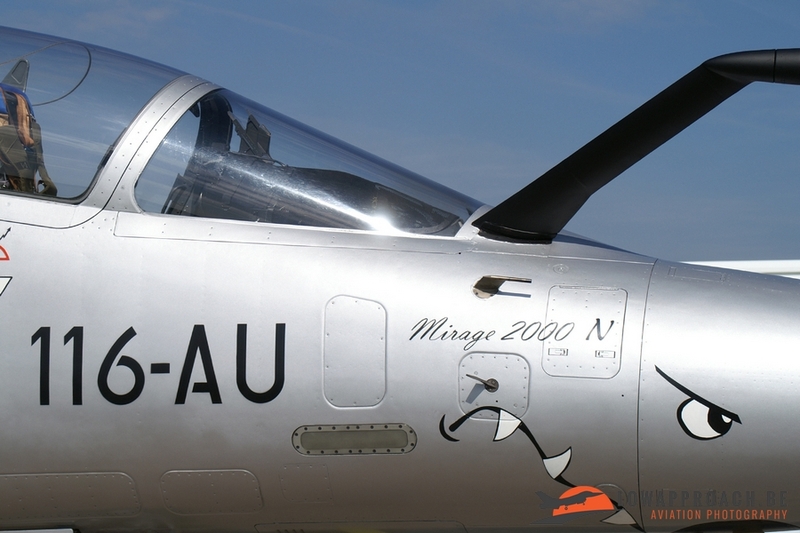 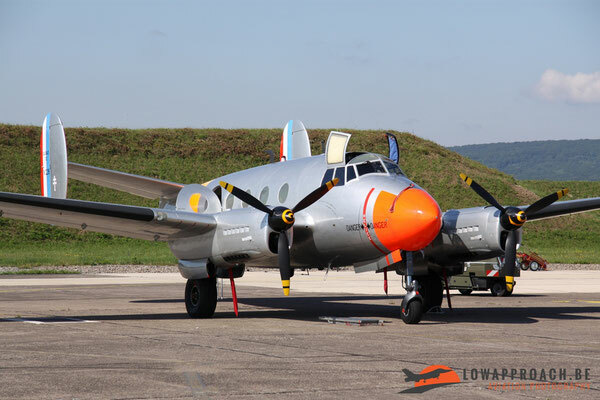 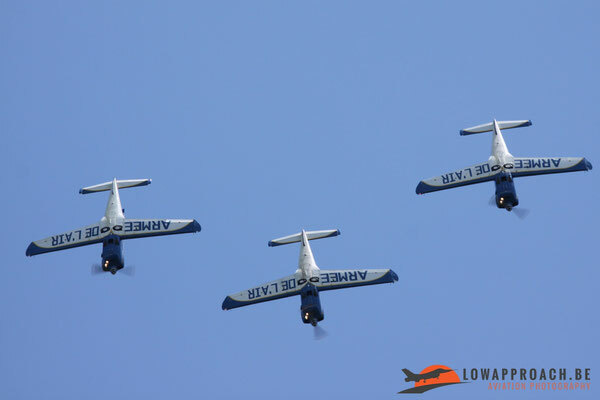 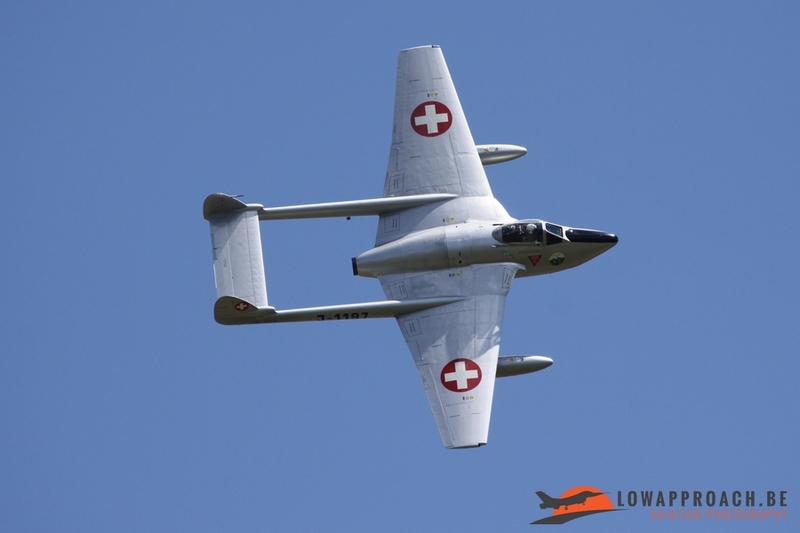 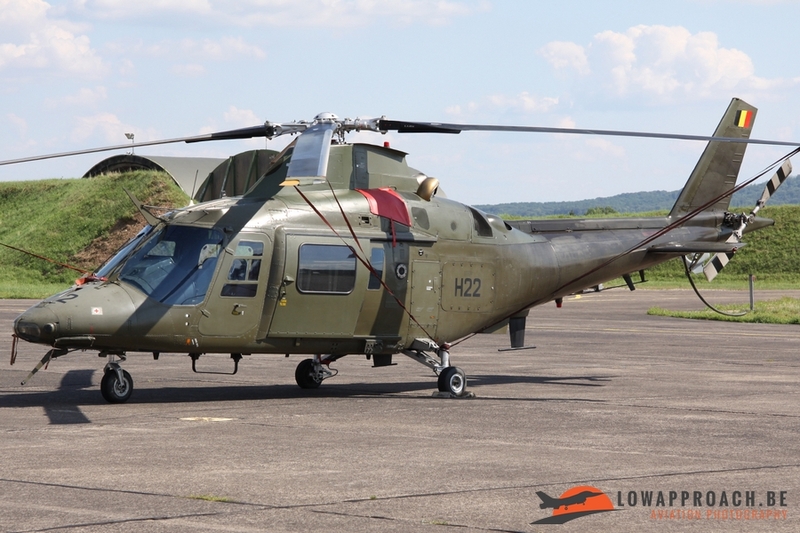 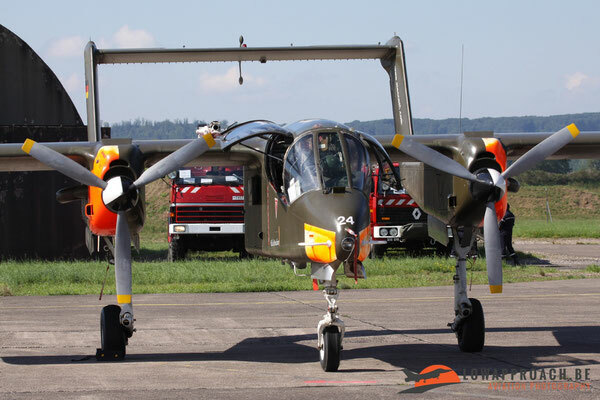 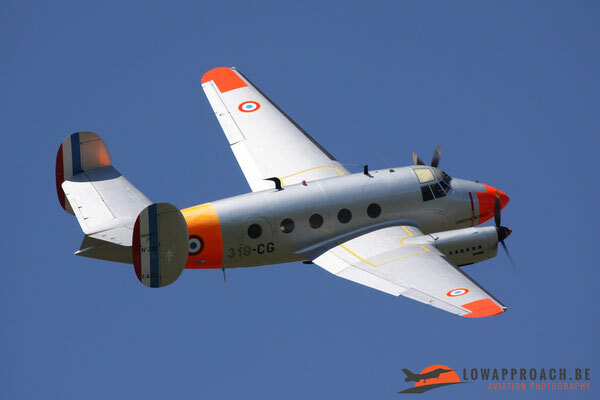 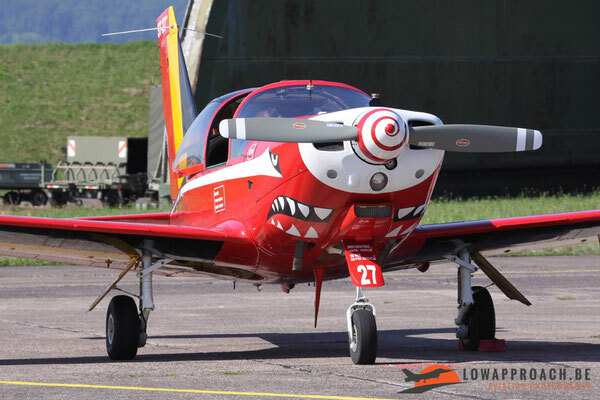 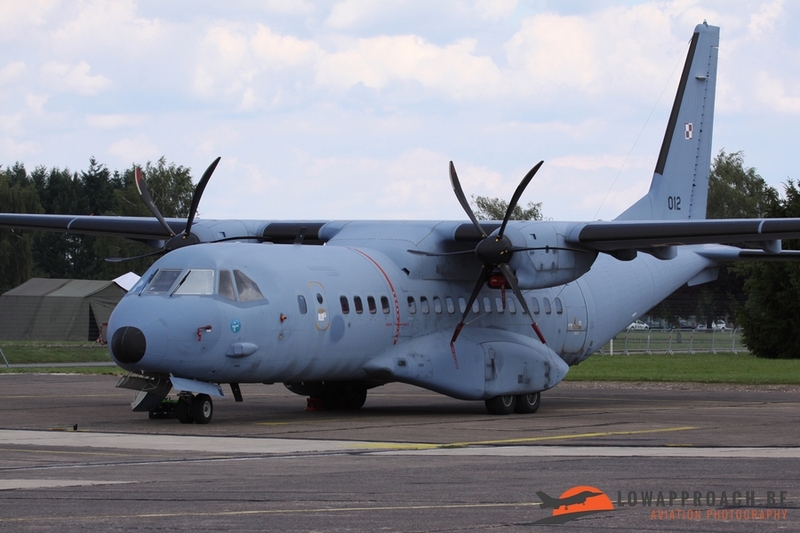 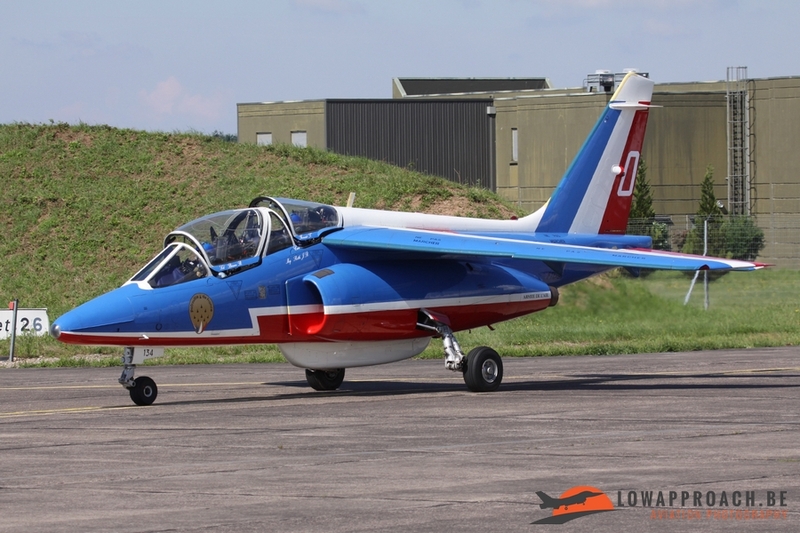 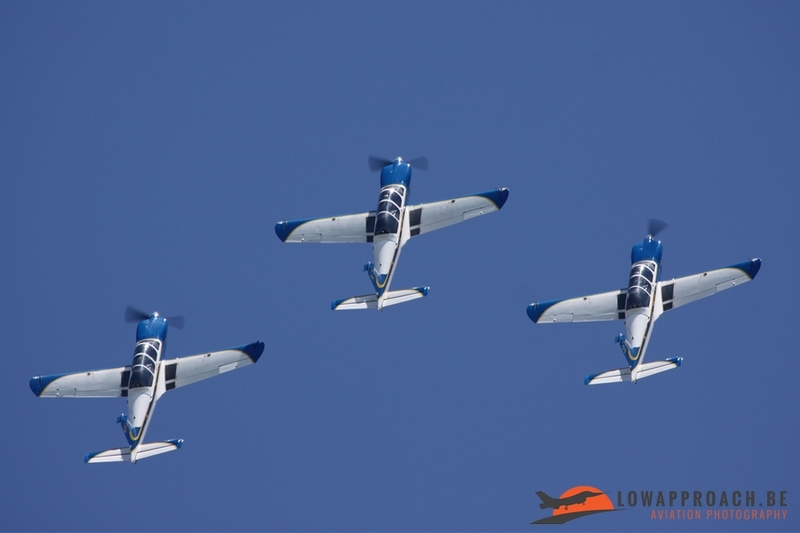 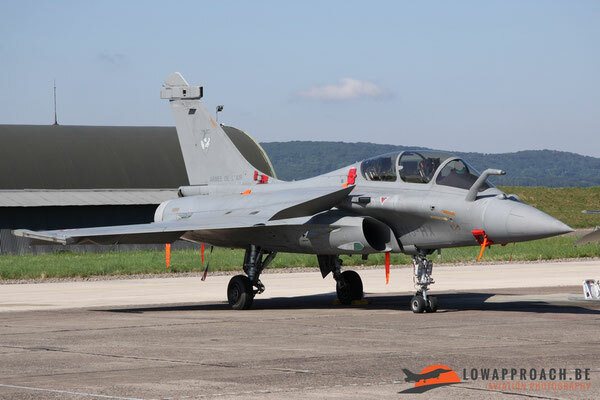 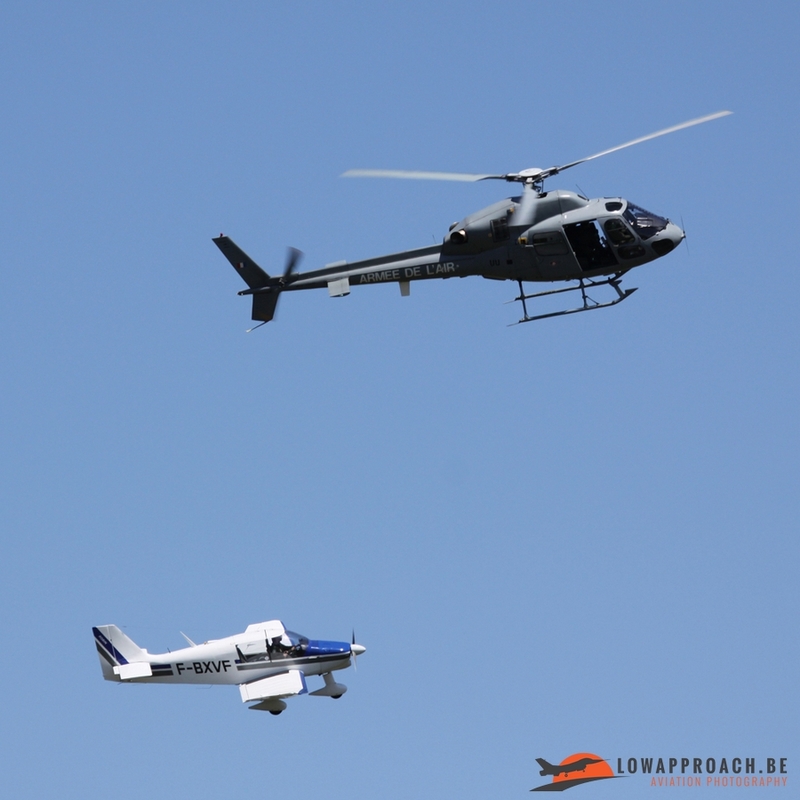 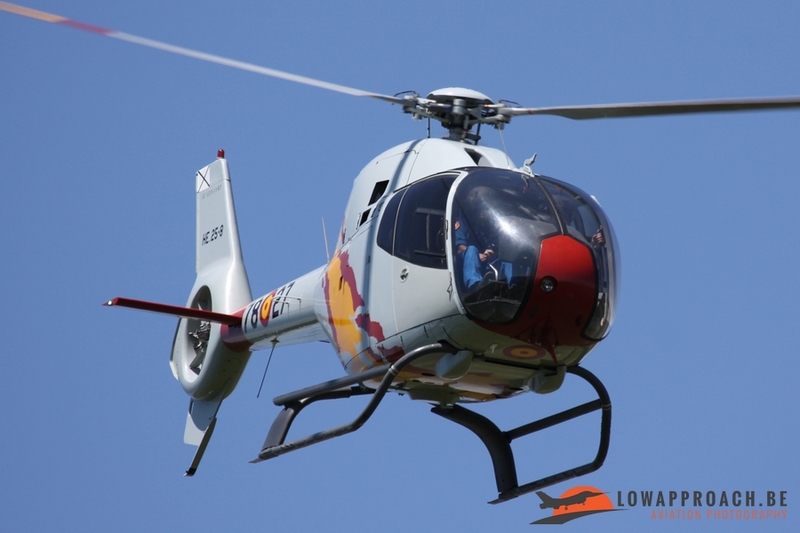 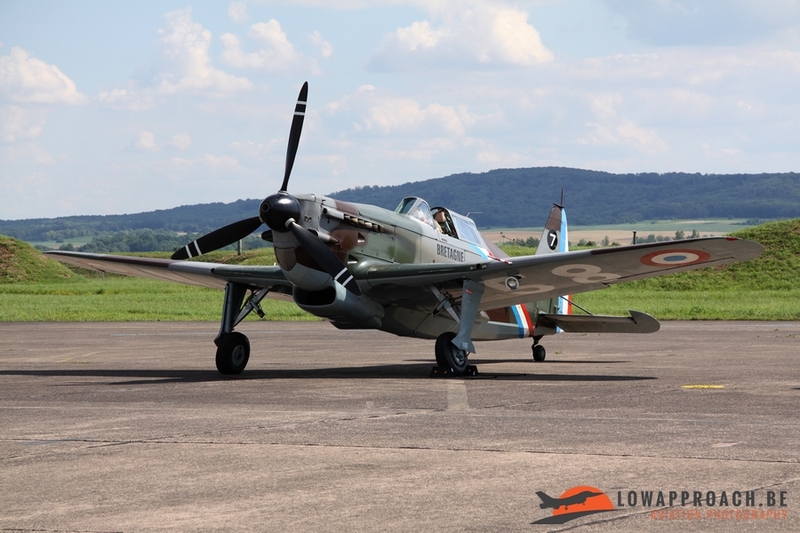 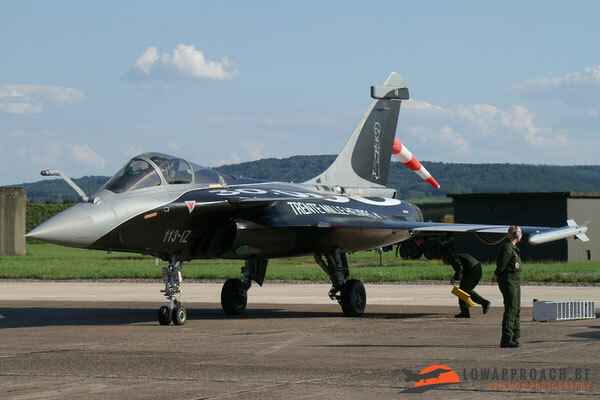 During the first weekend from July 2011 the French Air Force organized a meeting de l’air at BA116 Luxeuil – St.Sauveur. 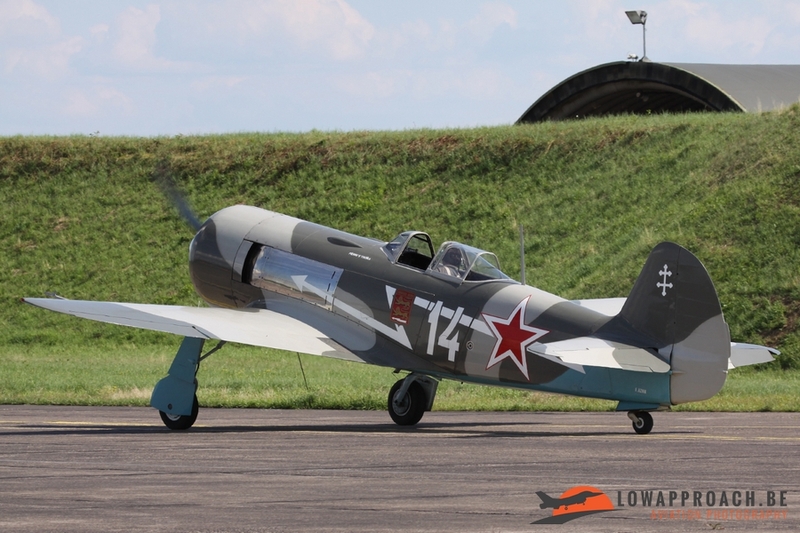 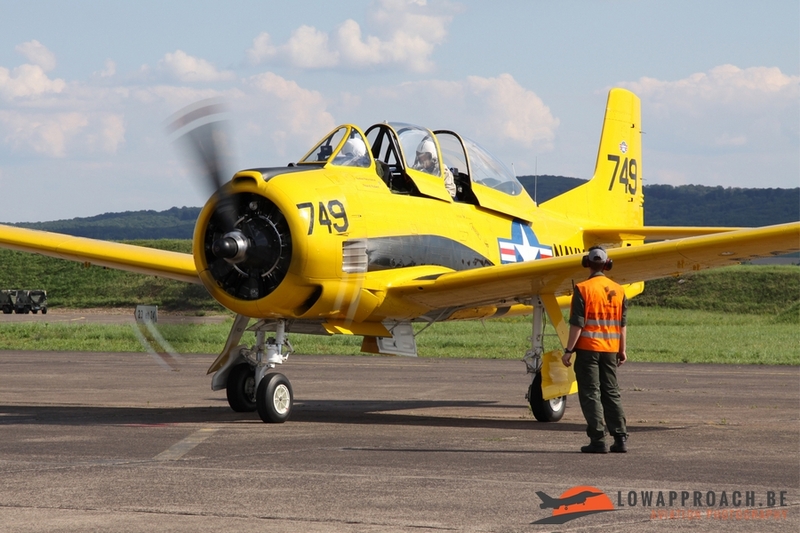 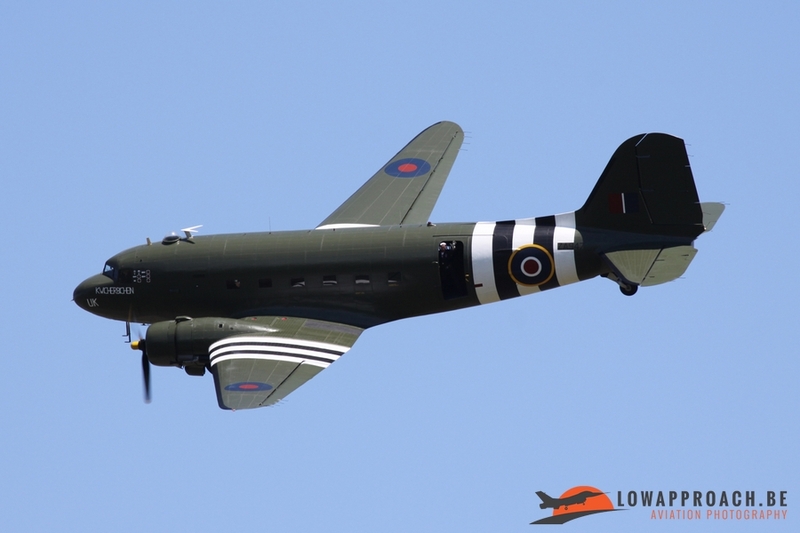 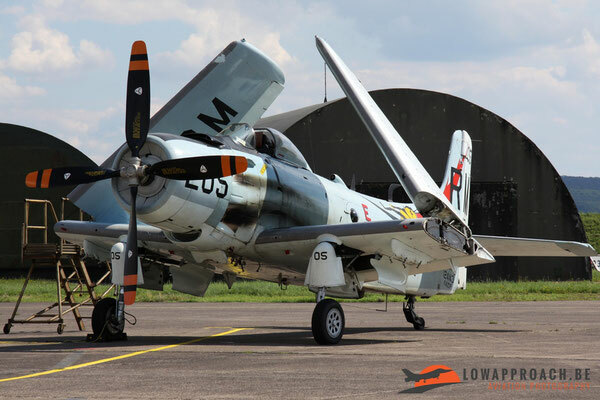 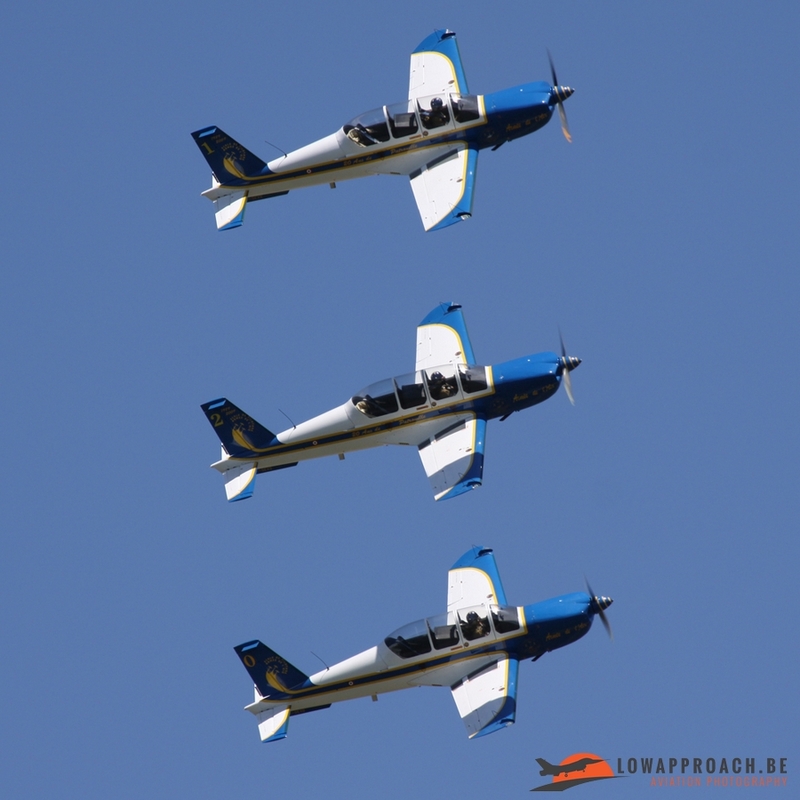 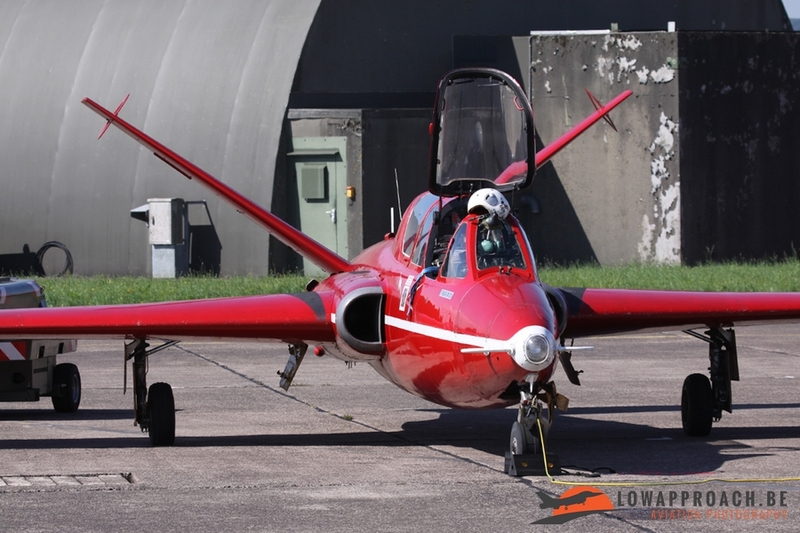 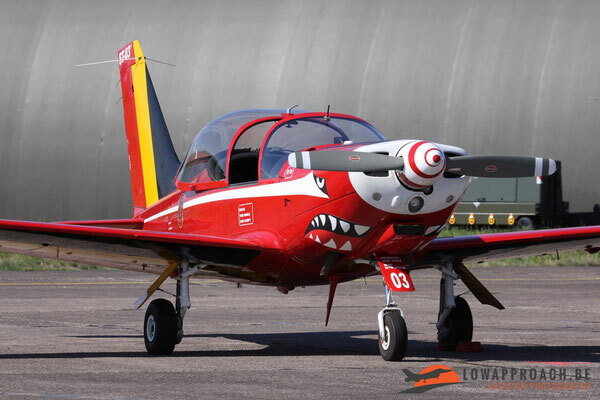 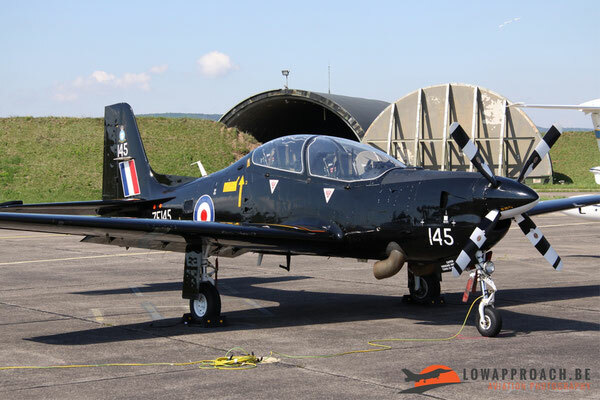 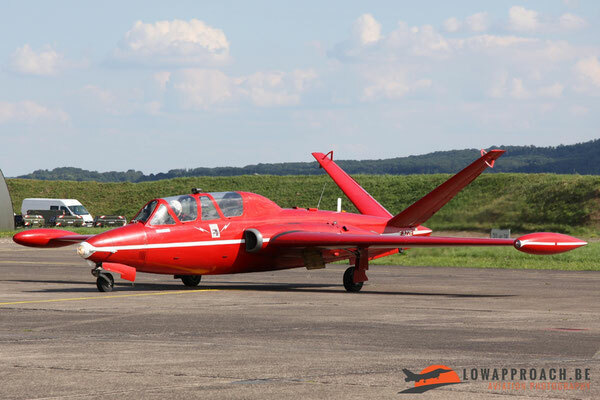 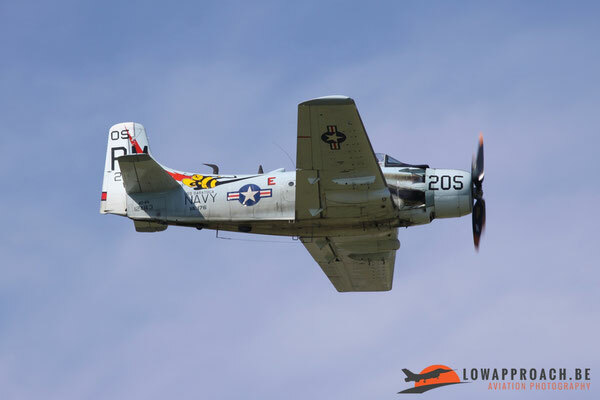 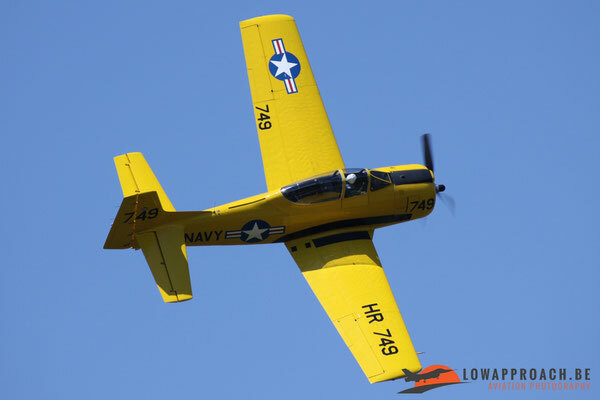 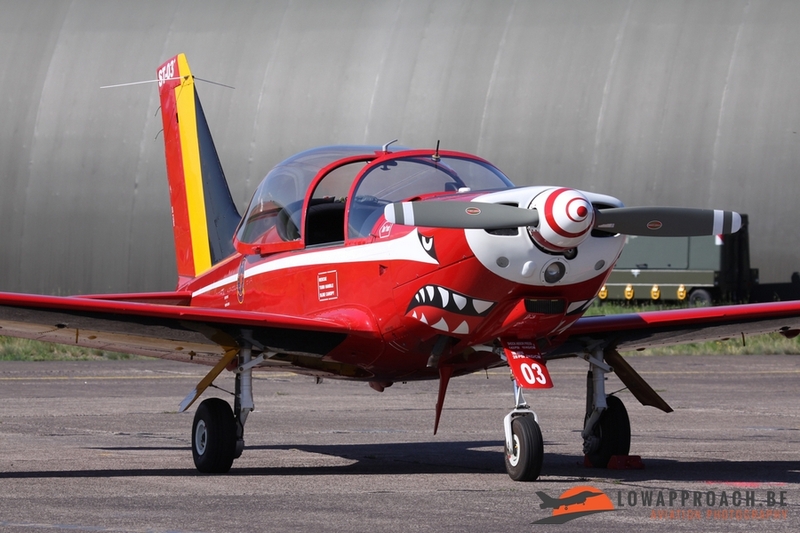 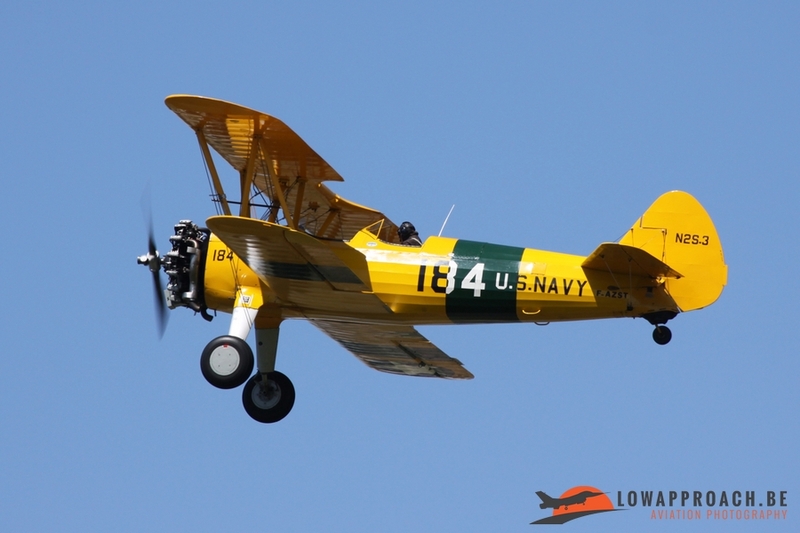 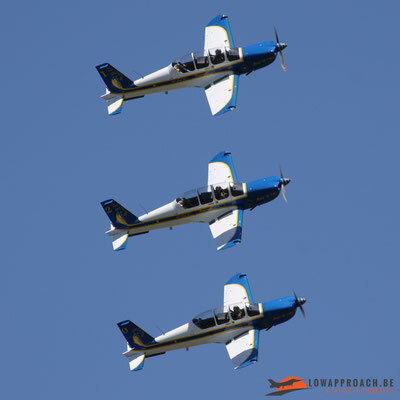 I attended the spottersday on Friday and the first airshow day on Saturday and it turned out to be a nice trip to the Northeast of France with extremely hot and Sunny weather. On Friday, in the early morning, more than hundred spotters were waiting at the checkpoint to collect their badge before entering the base. 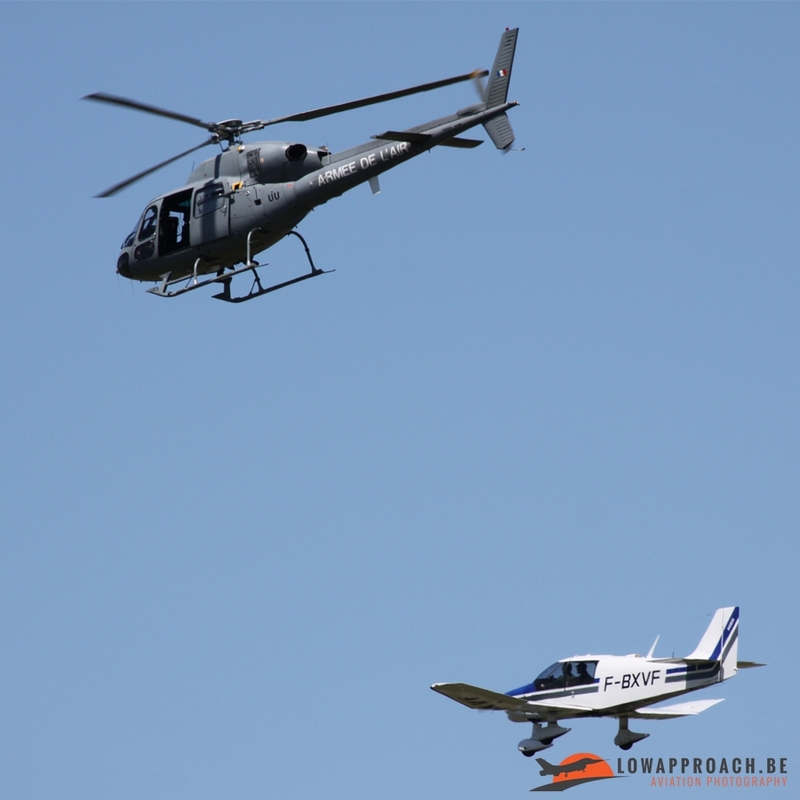 During a short briefing all participants got a schedule for the upcoming day and we were also been warned that we could expect a ‘big flying surprise’ during the spottersday. 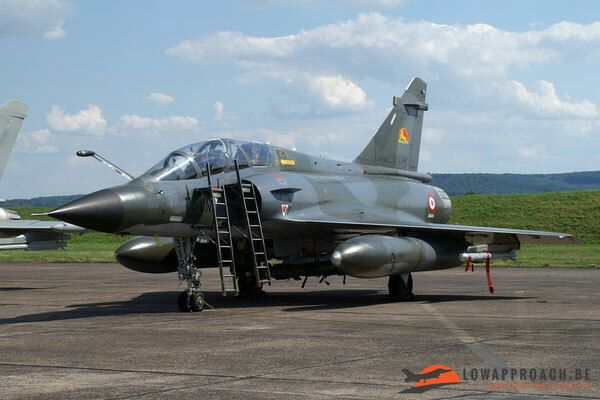 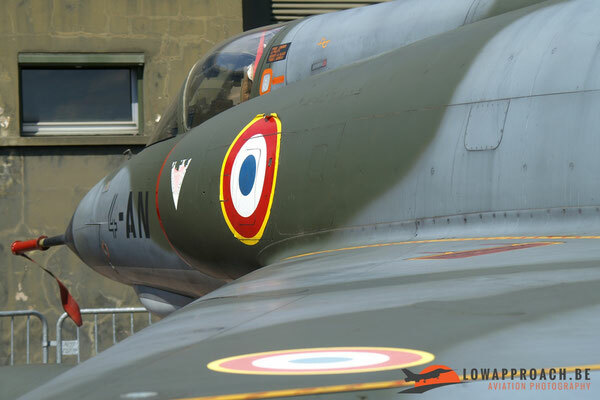 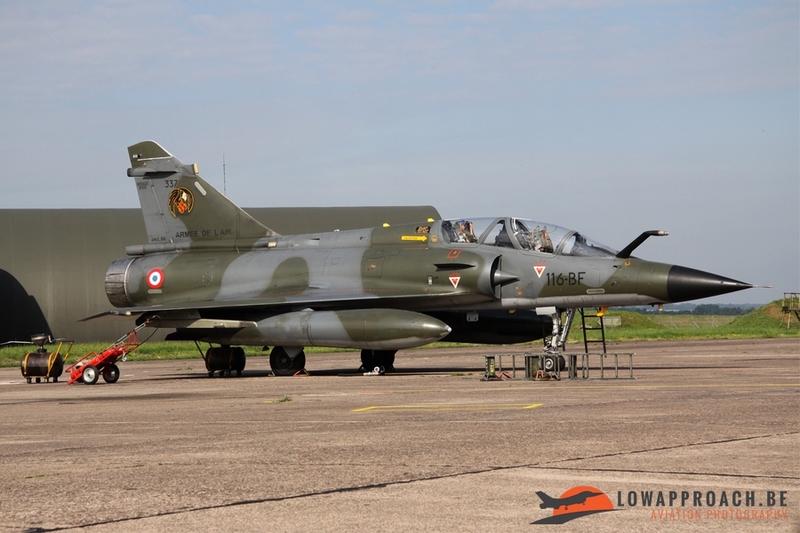 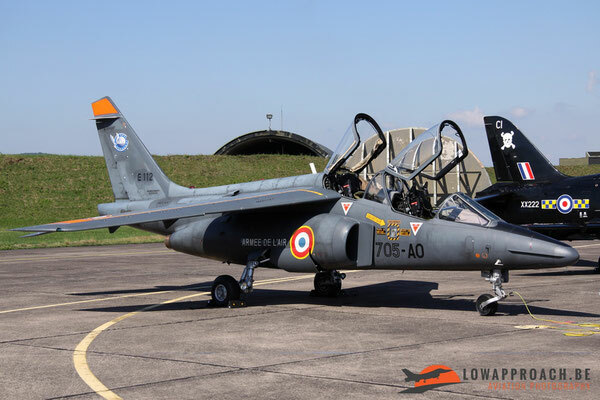 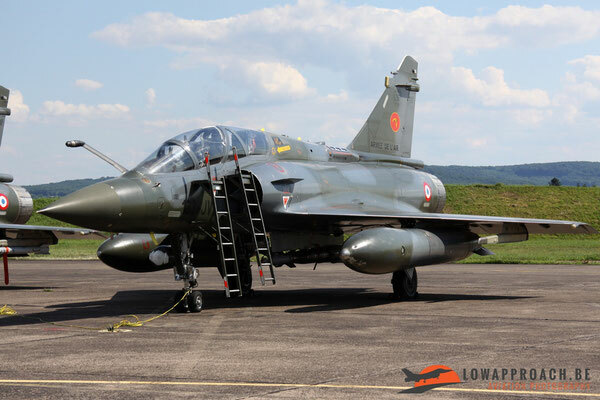 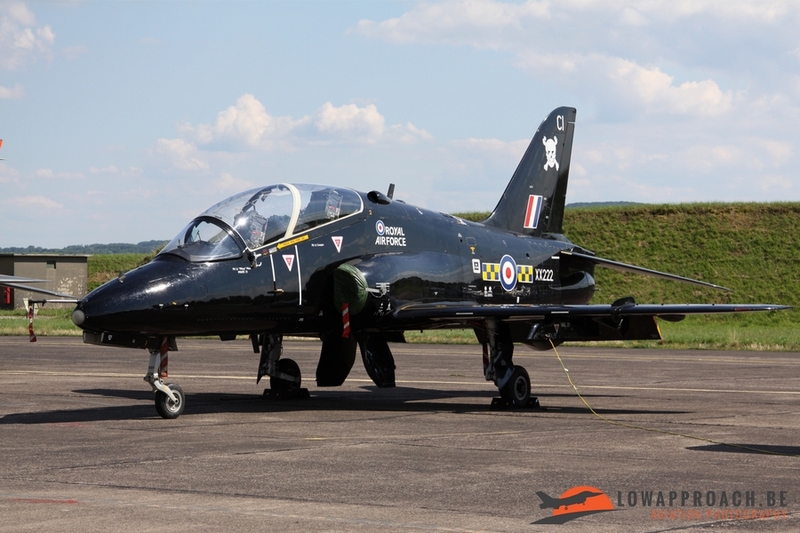 After the briefing we walked towards the flightline were crewchiefs had towed a beautiful painted Mirage 2000N with a nice special color scheme to celebrate the 95th Anniversary of Escadron de Chasse 02/004 ‘La Fayette’. 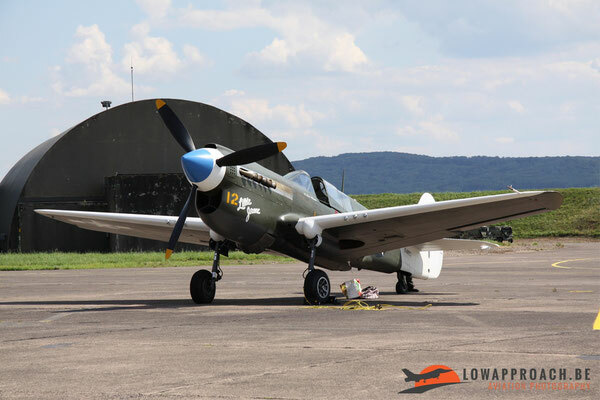 After a short photoshoot from both sides this beautiful eyecatcher was towed towards the static zone were it was rapidly surrounded with fences. 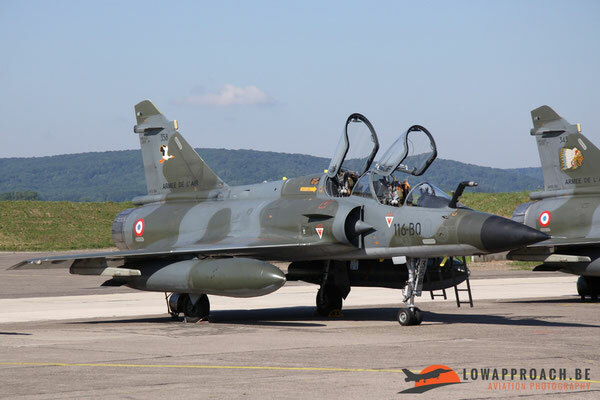 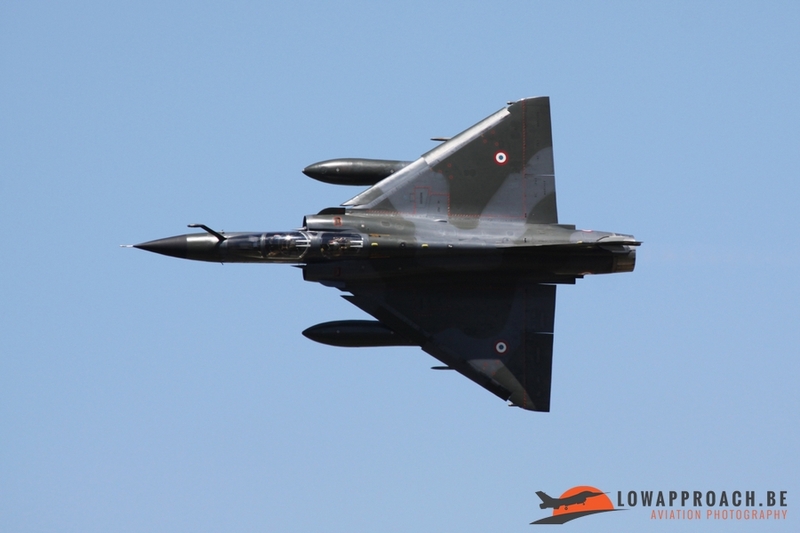 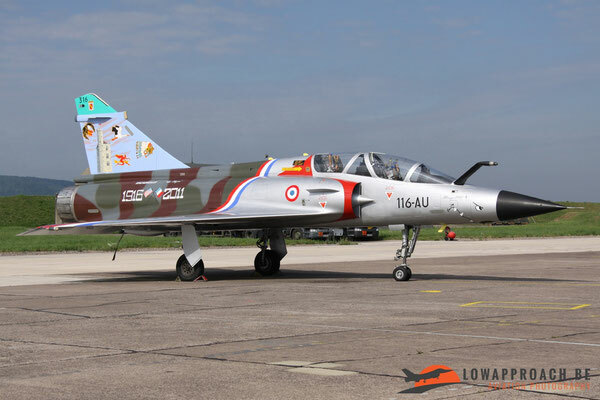 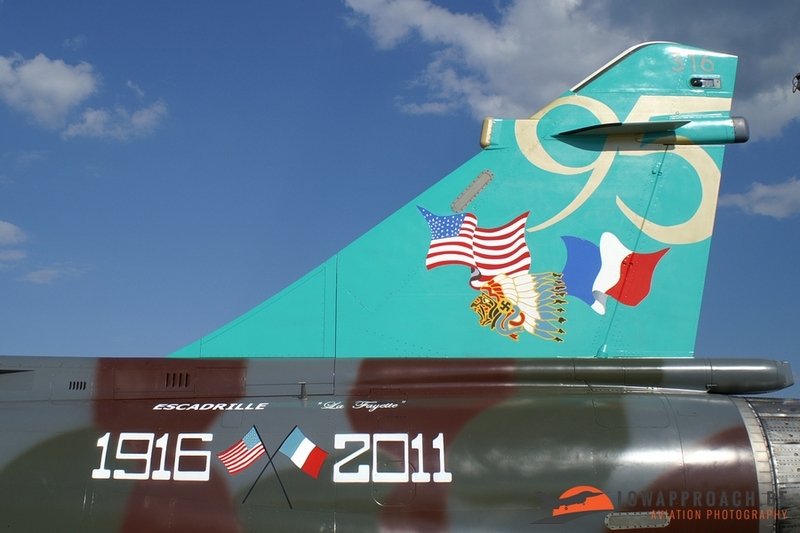 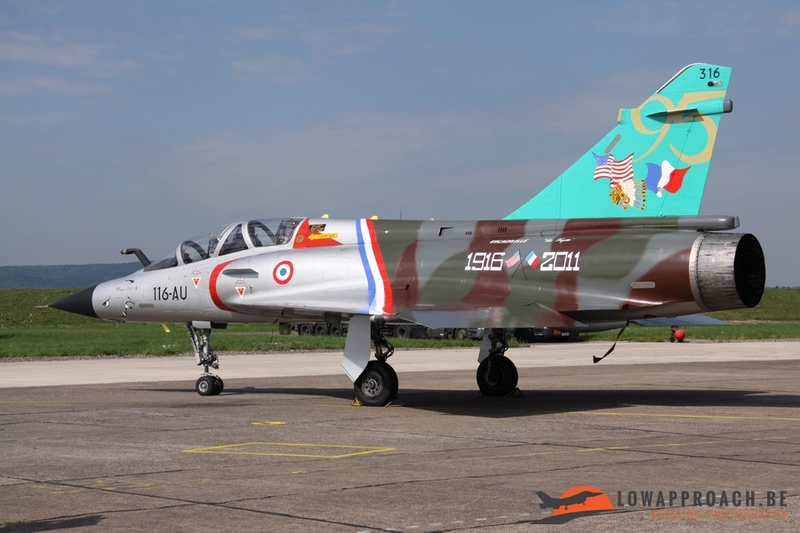 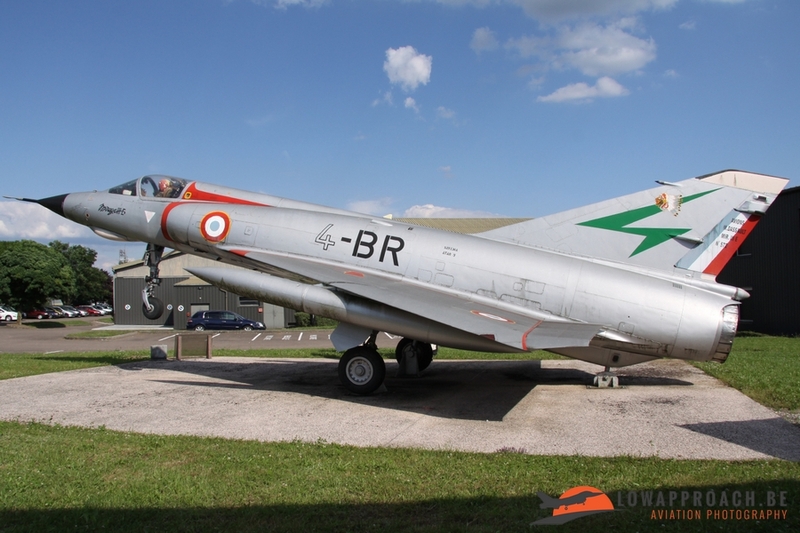 The color scheme of this Mirage 2000N referred to the ‘La Layette Escadrille’ which was formed on April 20, 1916 by 38 U.S. volunteer pilots who flew under French command a year before the U.S. entered into WWI. Every year U.S. and French military and civilian leaders attended the Lafayette Escadrille Memorial event in Marnes-la-Couquette, to commemorate not only the 38 original pilots of the Lafayette Escadrille, but all 269 American pilots who flew with the French Air Force as part of the Larger Lafayette Flying Corps, 68 of which were killed during the war and are buried at the memorial crypt. 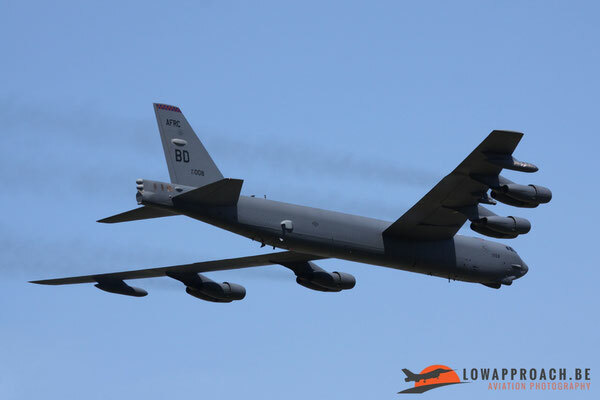 After we got the opportunity to photograph some arrivals from the airshow during the morning hours, unfortunately all with backlighting, an Air Force Reserve Command B-52H from the 307th Bomb Wing, 93nd Bomb Squadron which departed from BA 125 Istres showed up for two recce passes above the airbase. 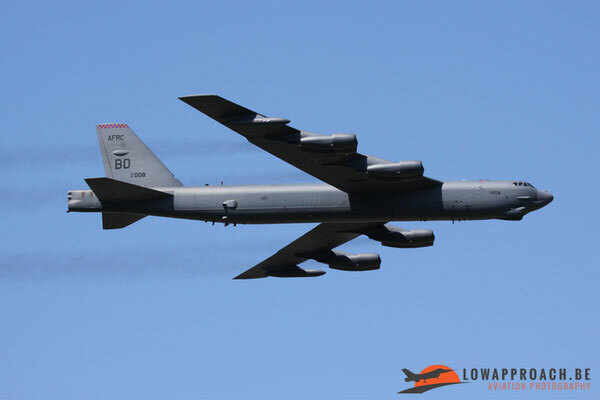 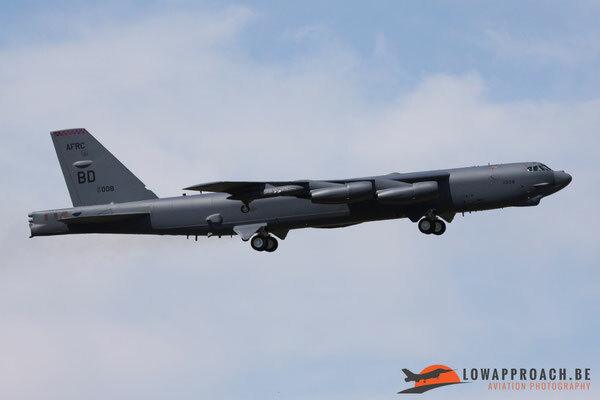 The B-52H from the ‘Indian Outlaws’ with blue/gold checkered tailband luckily returned the next day as well were we could photograph it from a better photo spot outside the airbase. During the afternoon we could enter the flightline and staticzone were more participants had arrived. 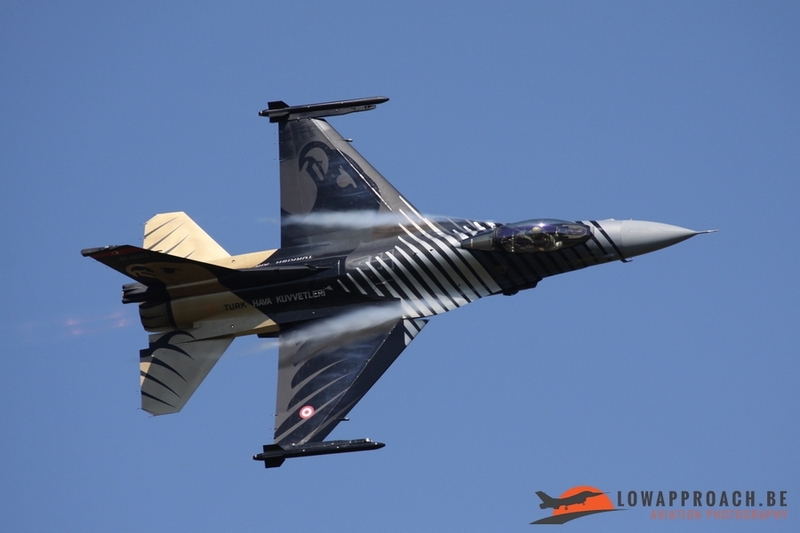 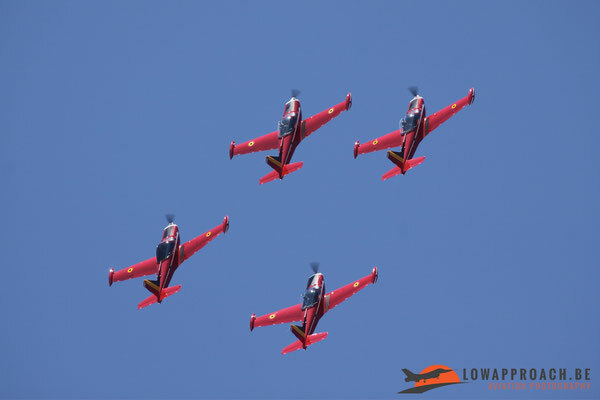 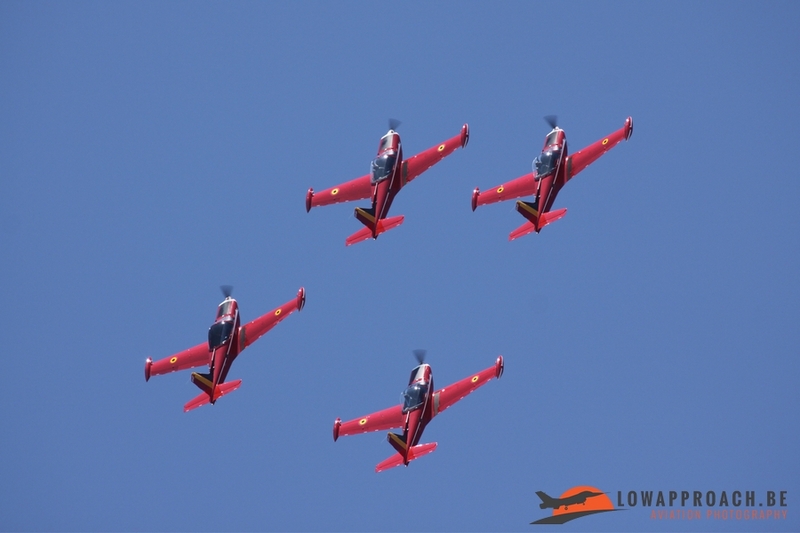 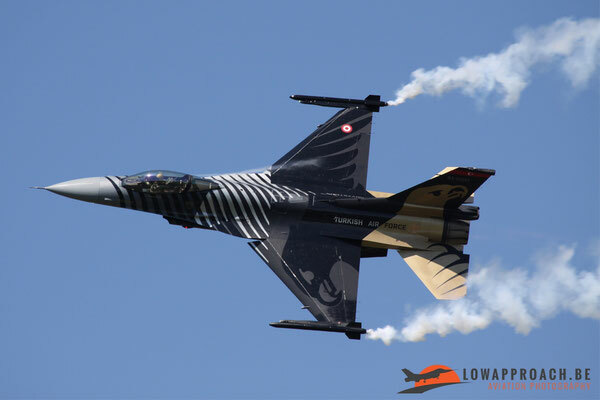 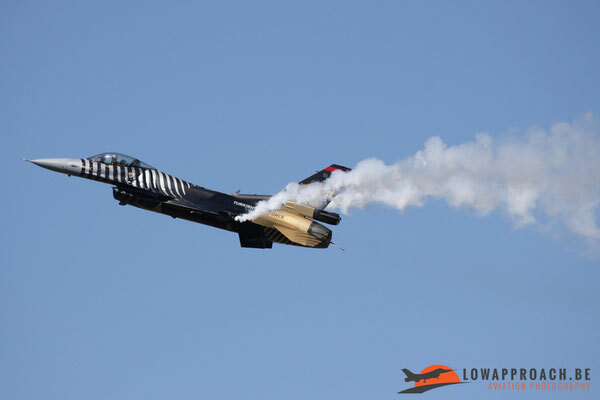 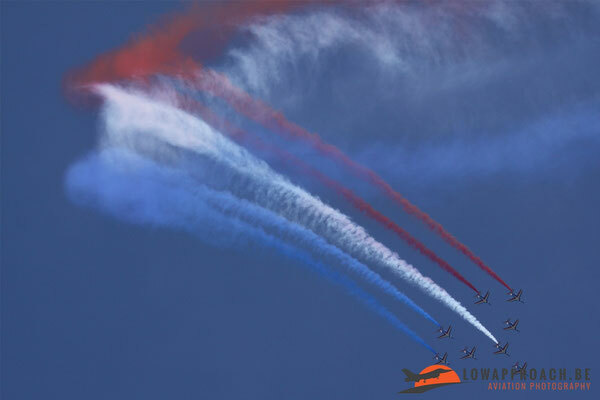 One of the highlights from the dynamic display was the F-16 demonstration team called ‘Solo Turk’ from the Türk hava Kuvvetleri that was formed in 2011, as part of the Turkish Air Force’s 100th Anniversary. 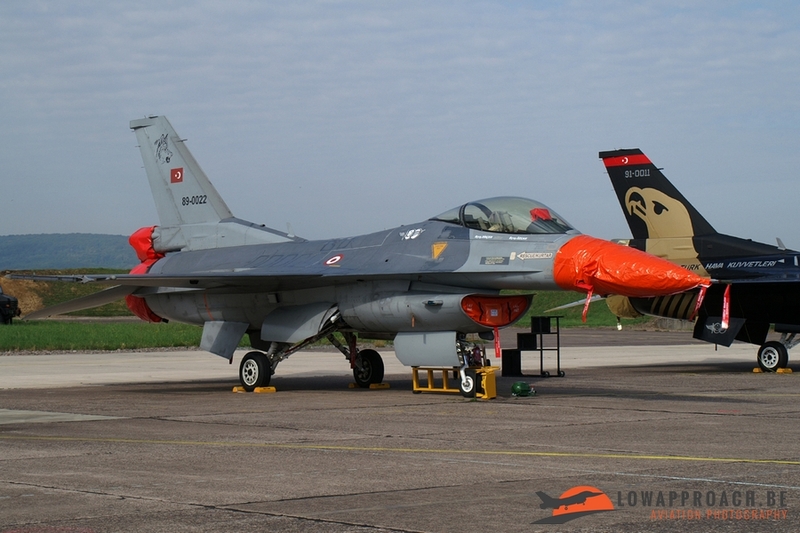 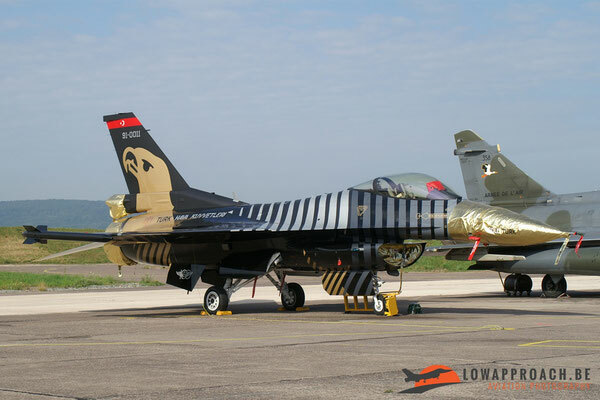 The TuAF F-16C was painted in a stunning bright black, silver and golden livery and was seen for the first time outside Turkey in France. 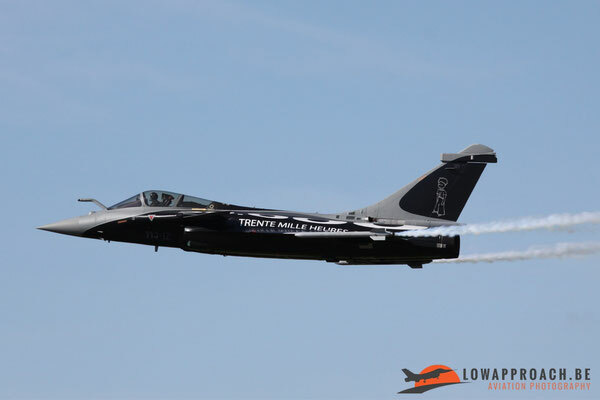 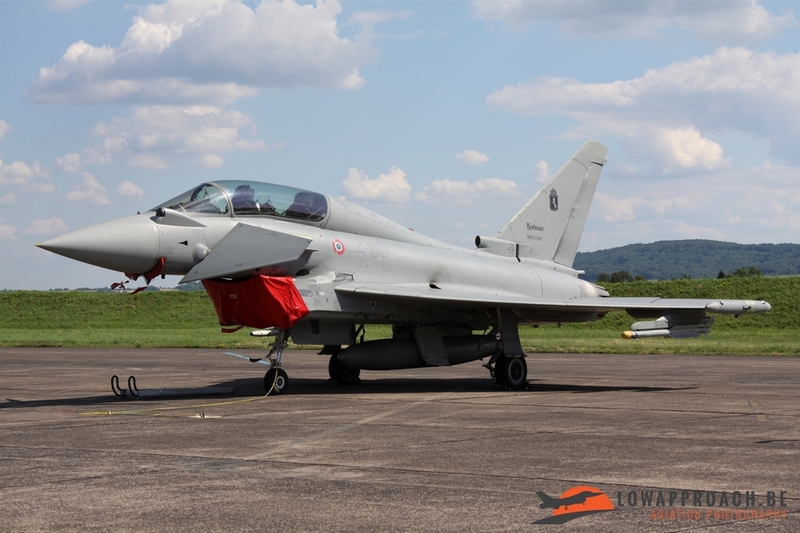 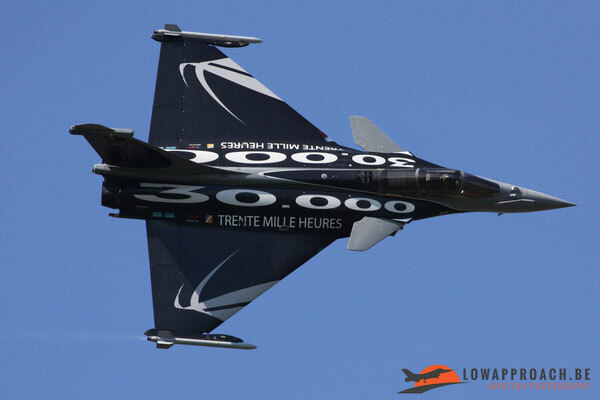 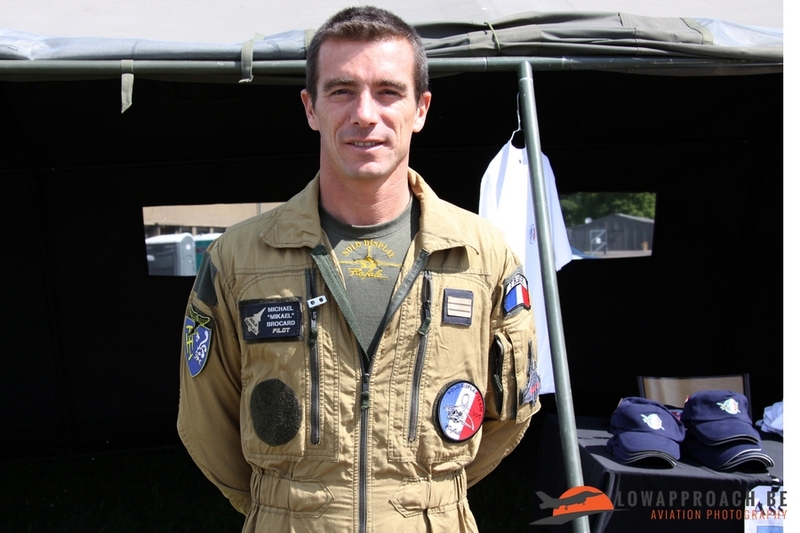 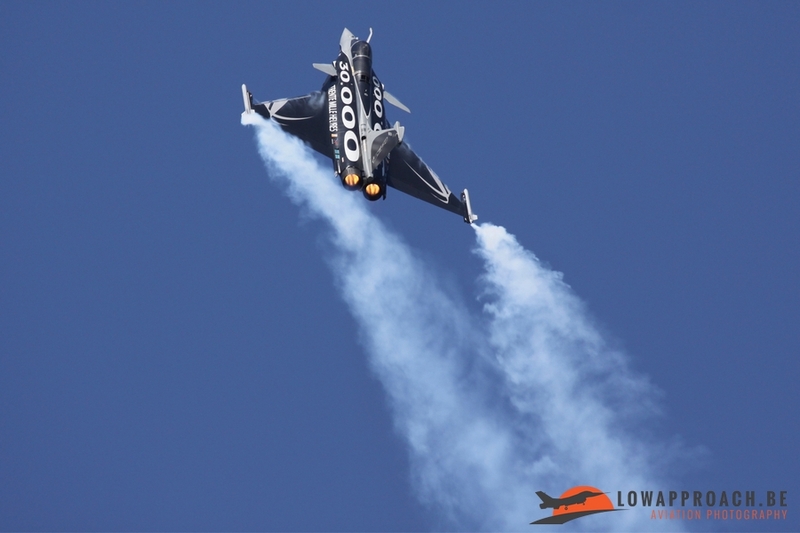 The Rafale, flown by display pilot Michaël Brocard, had also a stunning grey and black colourscheme to celebrate the 60th anniversary from BA113 Saint-Dizier named Commandant Antoine de Saint-Exupéry. 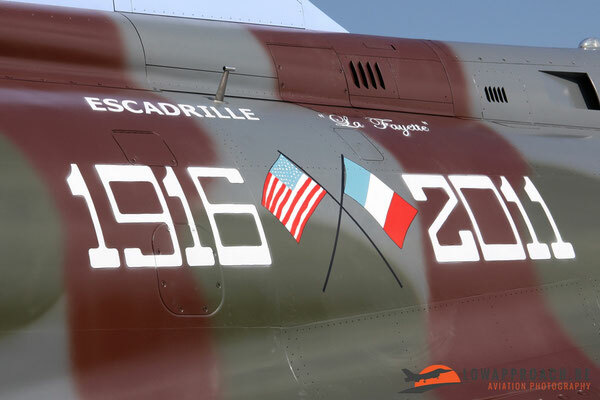 The 30.000 markings on the fuselage referred to the 30.000 flying hours of the Rafale fleet and on the tail we could seen ‘Petit Prince’, which refers to French pilot and writer Commandant Antoine de Saint-Exupéry who was killed in 1944 when he crashed into the Mediterranean Sea with a Lockheed P-38 Lightning while flying an operational WWII mission. Two identical Rafales with this color scheme had been painted at Saint-Dizier, and were presented to the general public on their airshow two weeks earlier in June 2011. 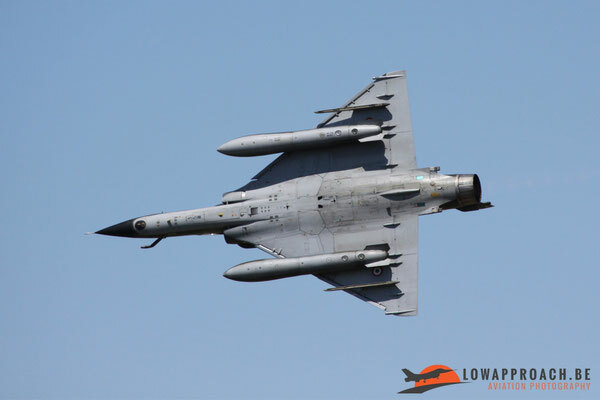 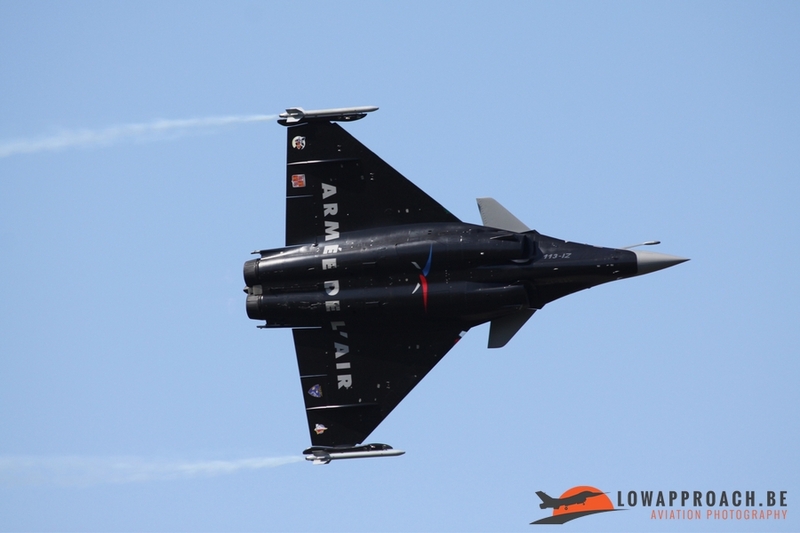 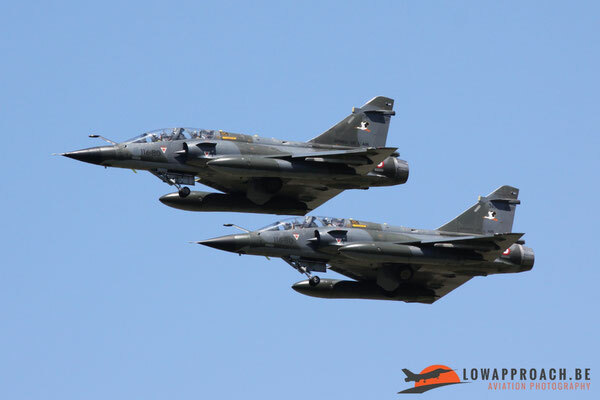 Nice to see was the tactical duo display from two Mirage 2000N at Luxeuil during the airshow. The first year they flew as a team was in 2011, and as we all know the next year “Ramex Delta” was born. 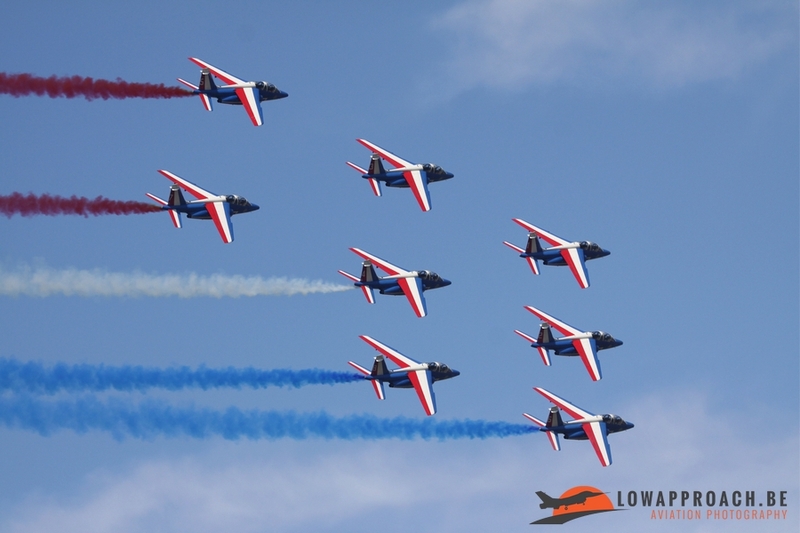 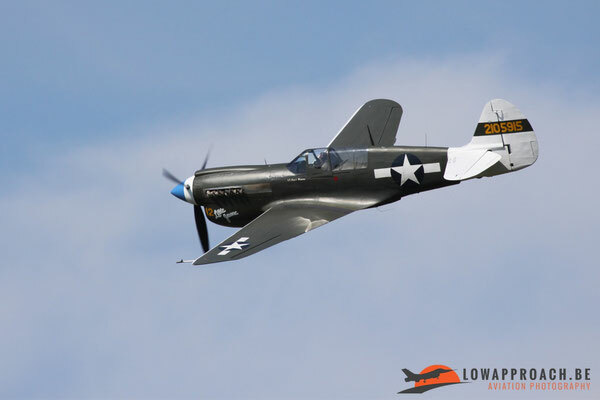 They performed from 2012 till 2016 on several airshows in France and across Europe. 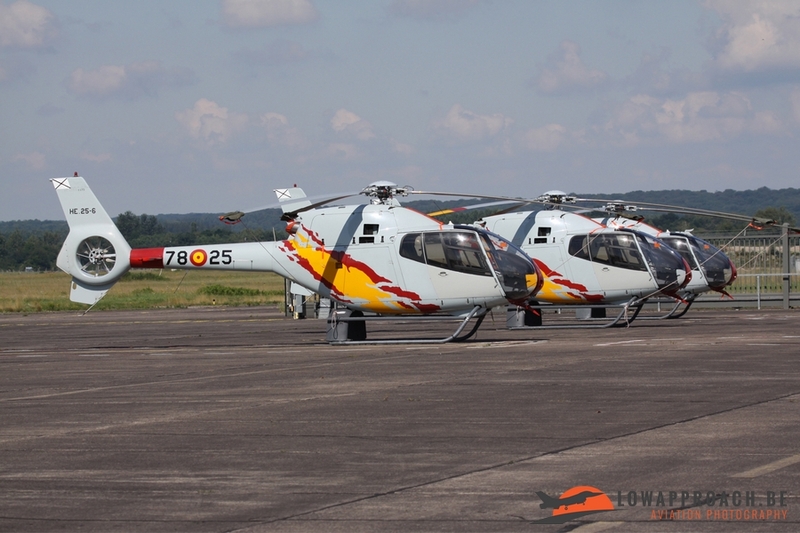 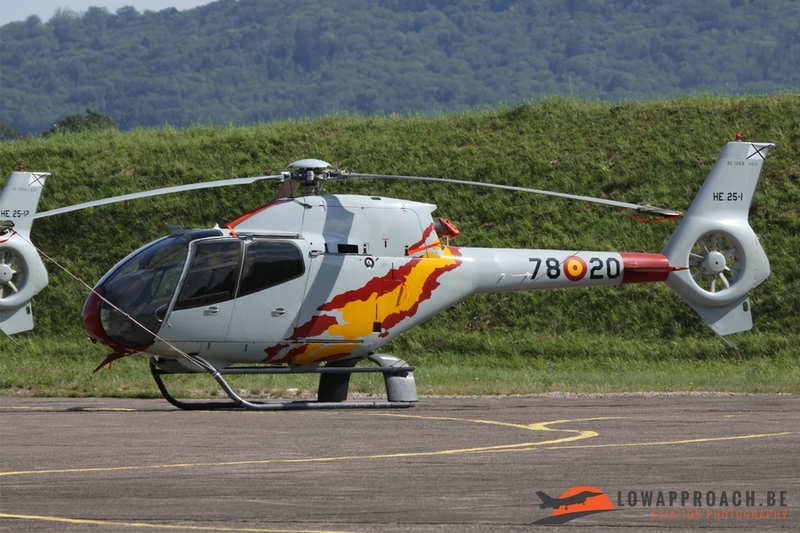 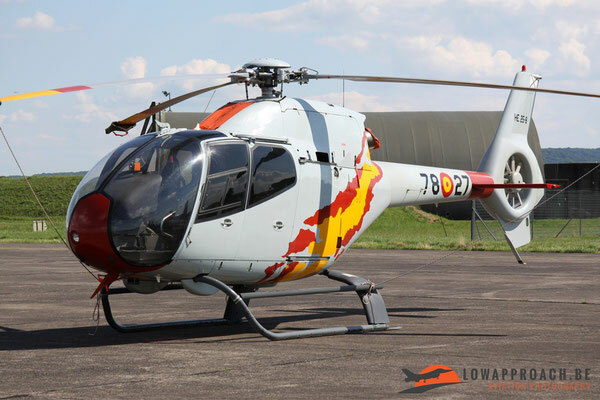 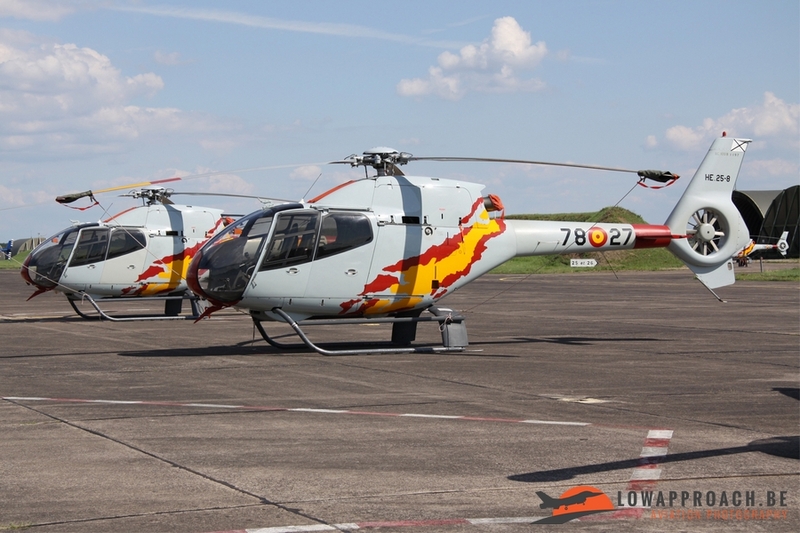 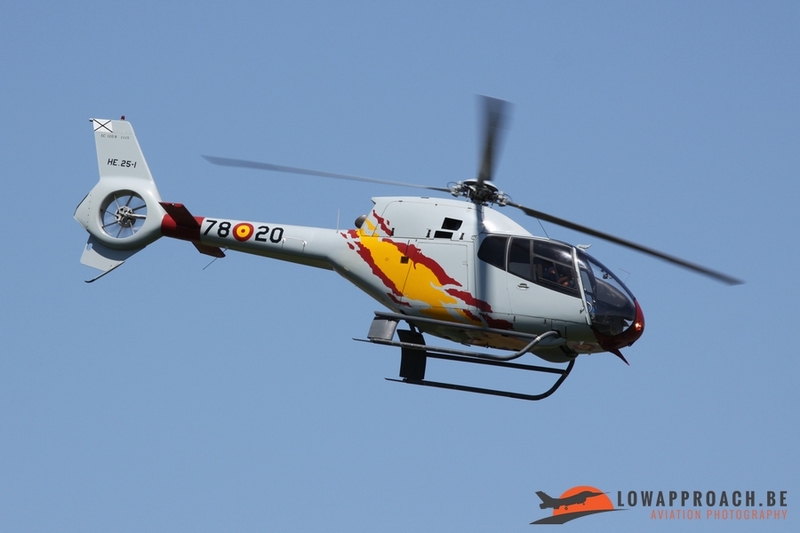 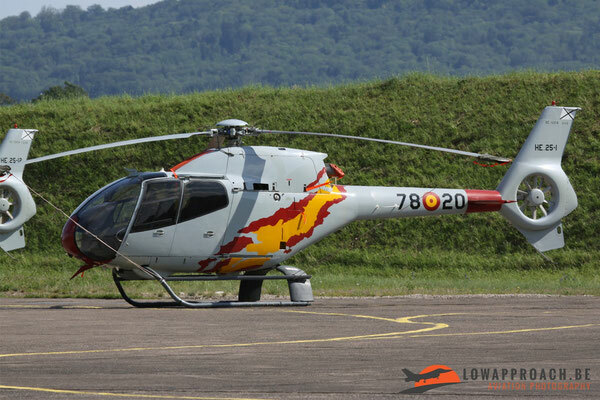 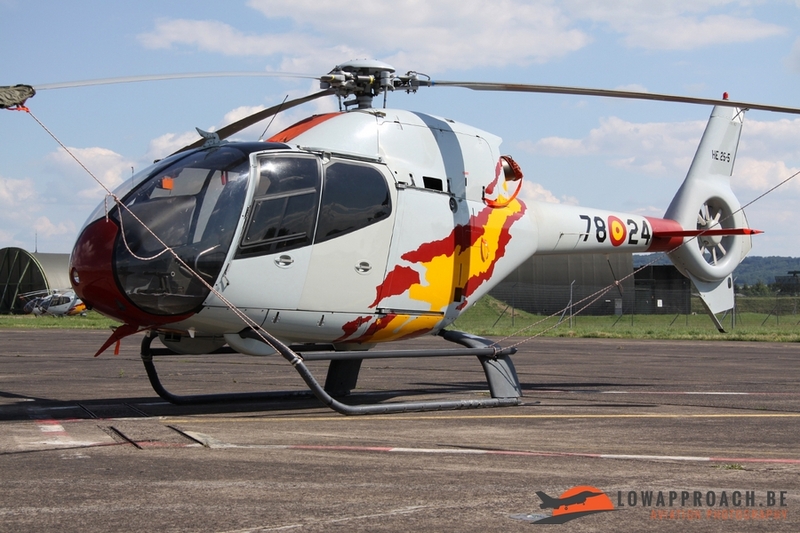 Not often seen outside Spain is the helicopter aerobatics team “Patrulla Aspa” from the Ejército del Aire, flying with the EC120B Colibri. 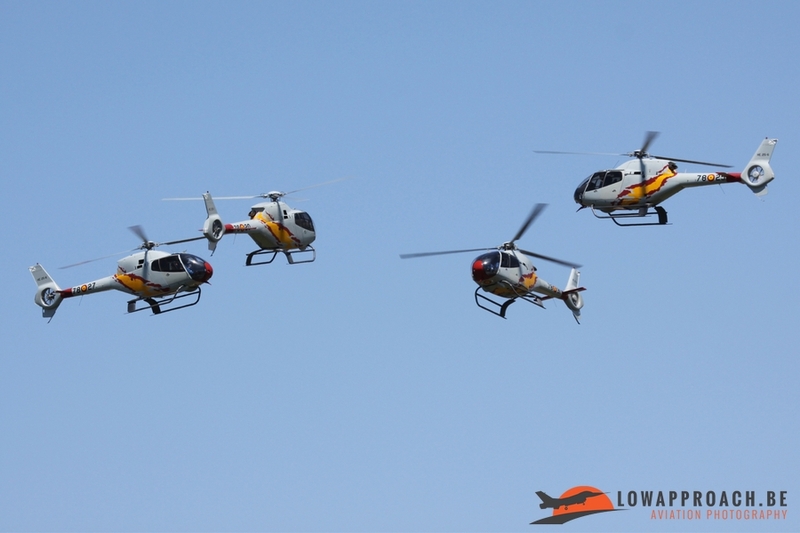 Based at Armilla, in the south of Spain they had a long journey ahead to display their show in France. To protect Parisian airspace against slow moving unidentified aircraft flying at low altitude (gliders, ULM, slow moving aircrafts) the Armeé de l’air has two AS555AN Fennecs on permanent alert in the region. 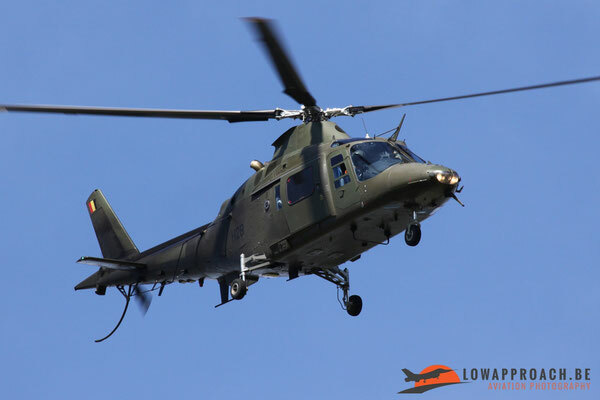 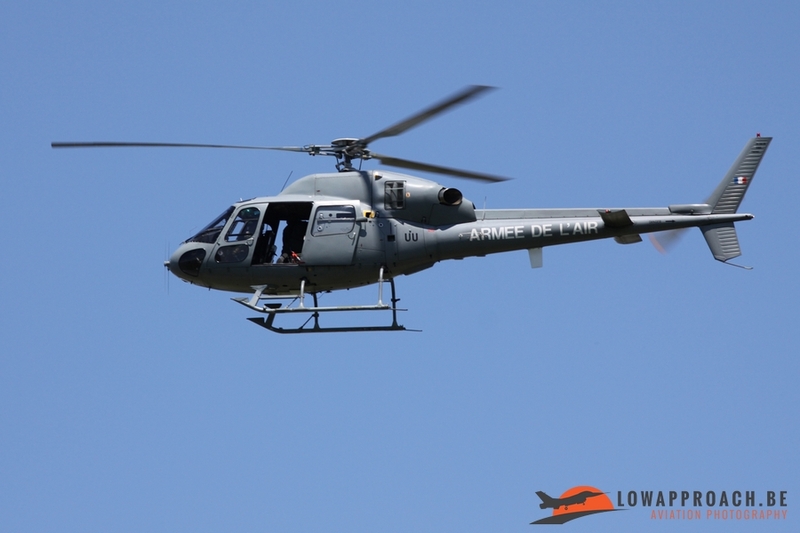 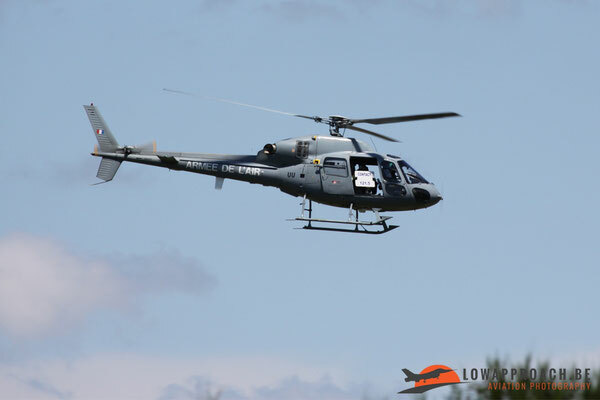 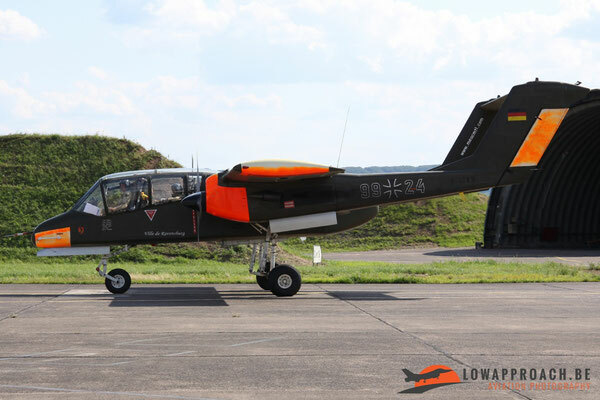 During the airshow a Fennec ‘MASA’ (Mesures Actives de Sûreté Aérienne), with 2 elite snipers on board, demonstrated an interception from a Robin DR-400-140B that simulated a loss of radio contact. 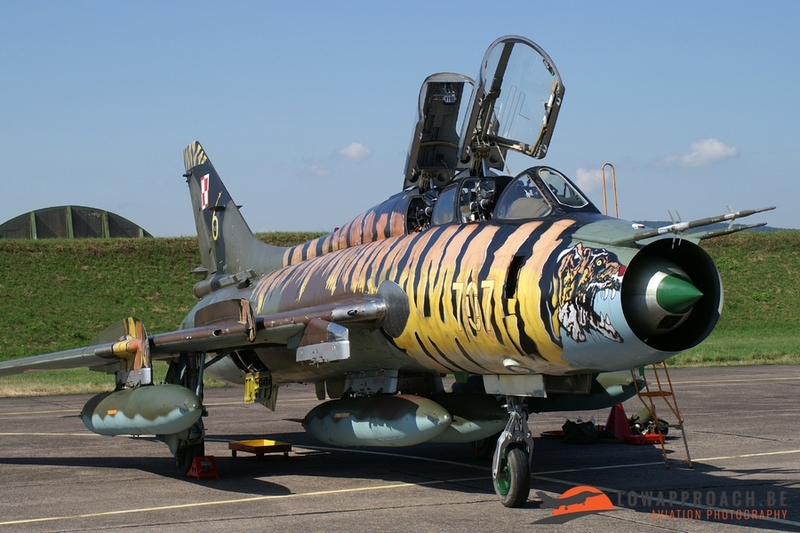 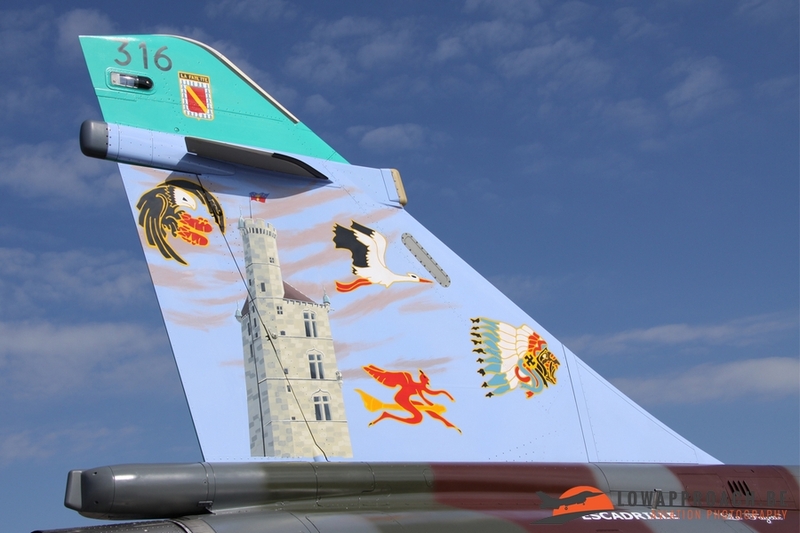 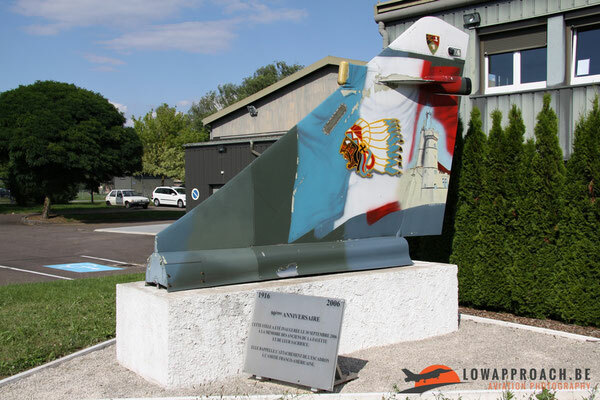 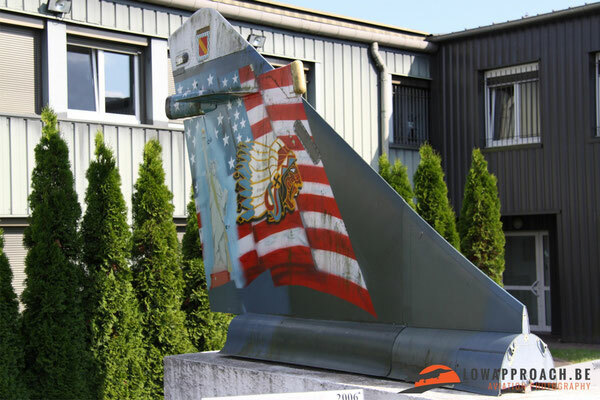 The Polish Air Force was represented in Luxeuil with a ‘cold war’ Sukhoi Su-22UM decorated in a stunning tiger livery and a CASA C.295M. 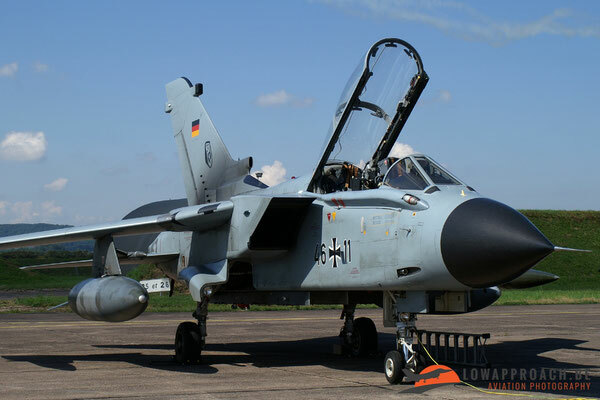 Other foreign aircrafts in static were a German Tornado, an Italian Eurofighter, Hawk and Tucano from the Royal Air Force and a C-21A from the USAFE. This airshow was also the end of an era for the Mirage 2000N at Luxeuil-St.Sauveur because the last Mirage 2000N left this base in Franche-Comté very soon after this event to relocate towards Istres. 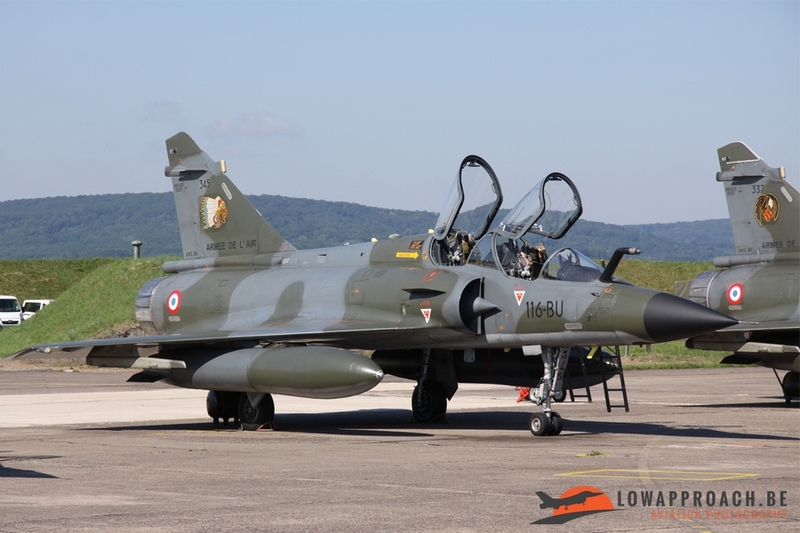 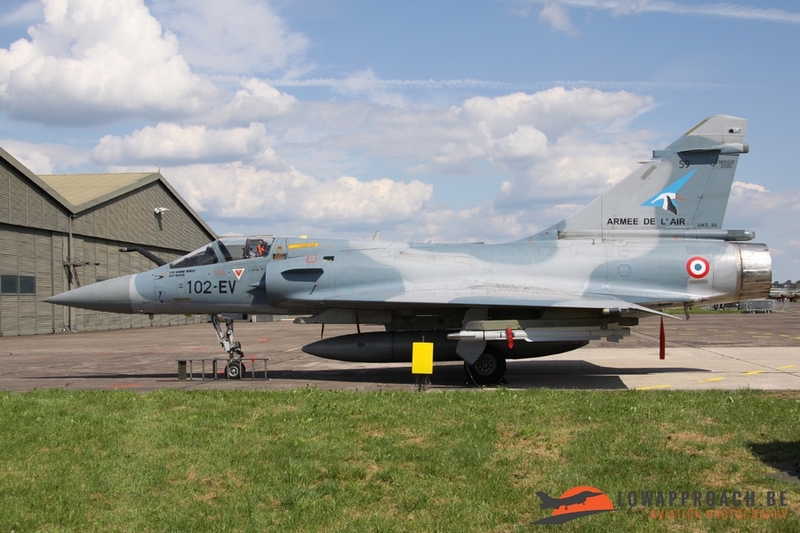 Some months later the first Mirage 2000-5F arrived from Dijon. 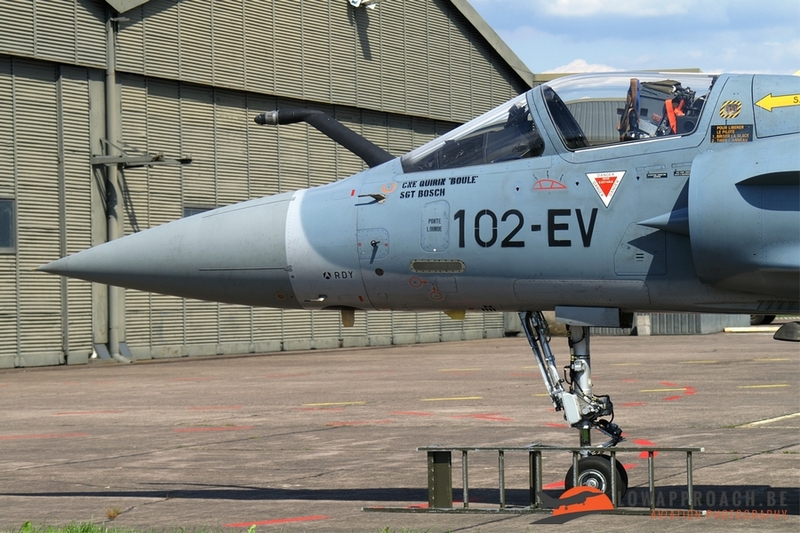 After the Mirage IIIE, Mirage 2000N another beautiful delta rulez in Luxeuil.